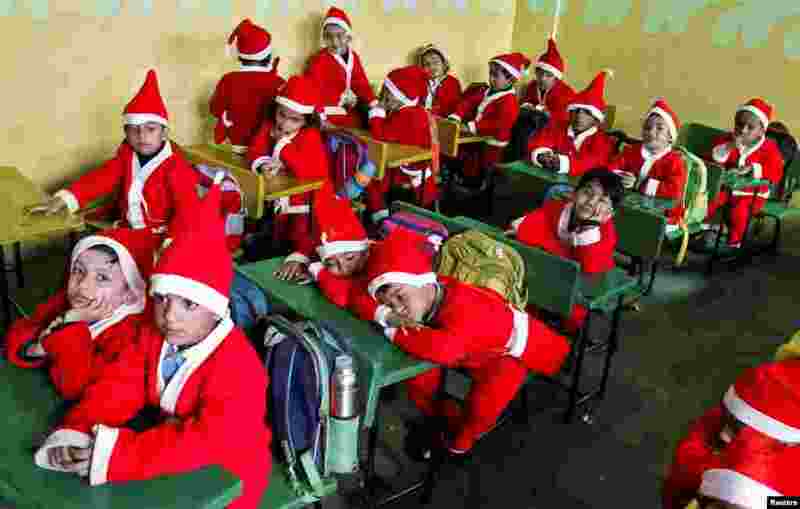 1 Children dressed in Santa Claus costumes sit inside a classroom before participating in Christmas celebrations at a school in Chandigarh, India. 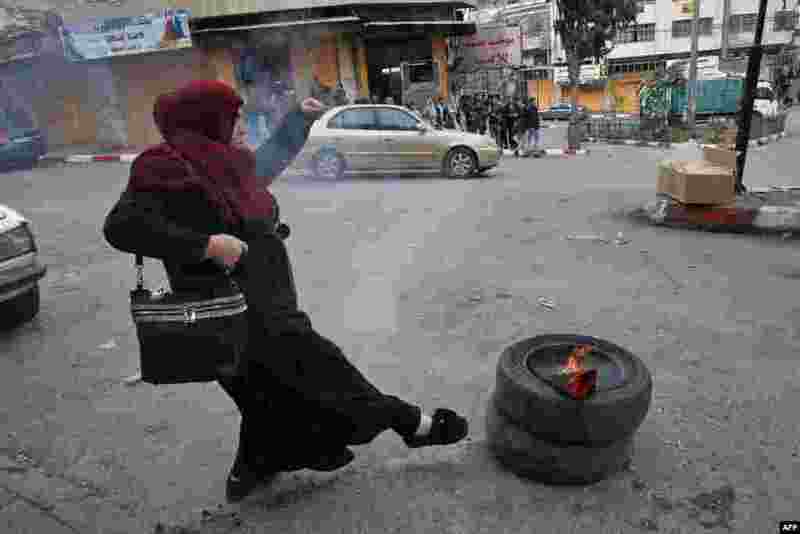 2 A Palestinian demonstrator kicks tires during clashes with Israeli security forces near a checkpoint in the city center of the West Bank town of Hebron. 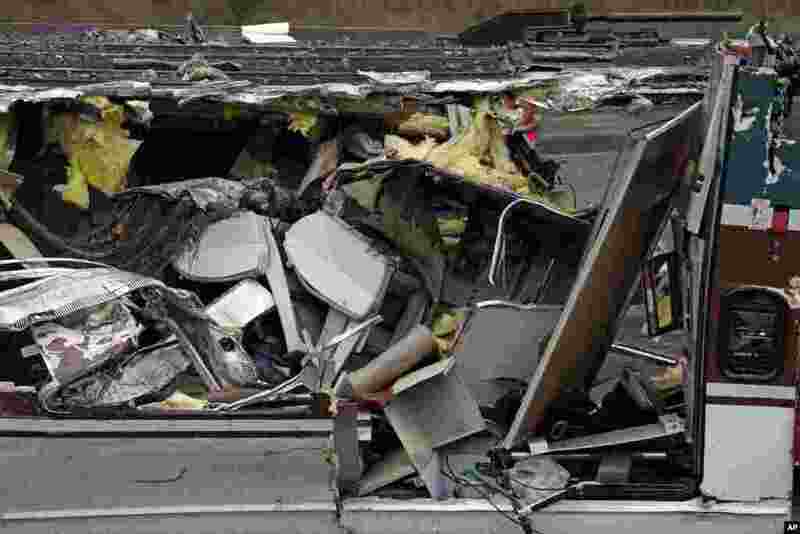 3 Seats are pushed together with other debris on an upside-down Amtrak train, following Monday's deadly crash onto Interstate 5 in the American state of Washington. 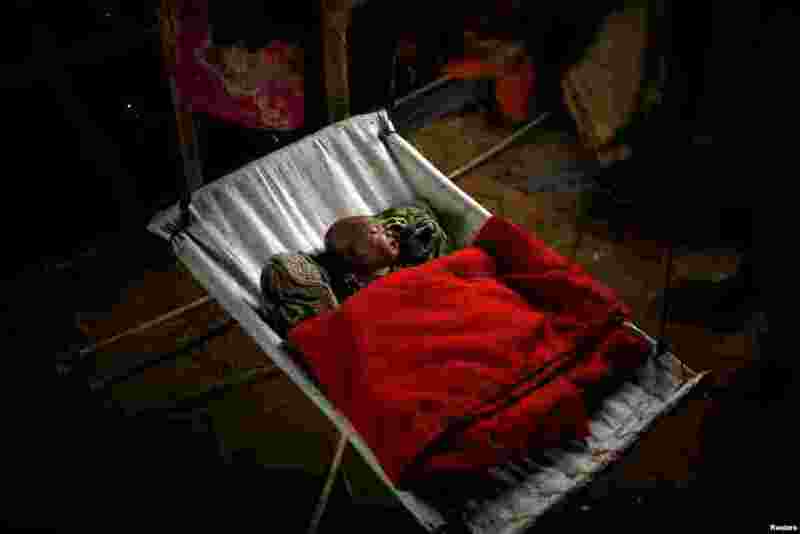 4 A Rohingya refugee baby girl sleeps inside her family's temporary shelter at the Balukhali refugee camp near Cox's Bazar, Bangladesh.